I'm not quite sure what spurred me to do this. 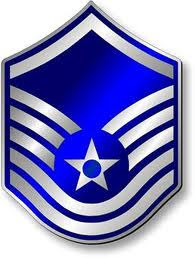 So if you must know, I can be "followed" at @OldAFSarge. Surprise, surprise. I don't know what I'm going to do with the bloody thing. But the NFL Tweets. A lot. Oh, by the way, Pinch has Tweeted once, I have Tweeted twice. He is so overmatched! Um, what does this button do? 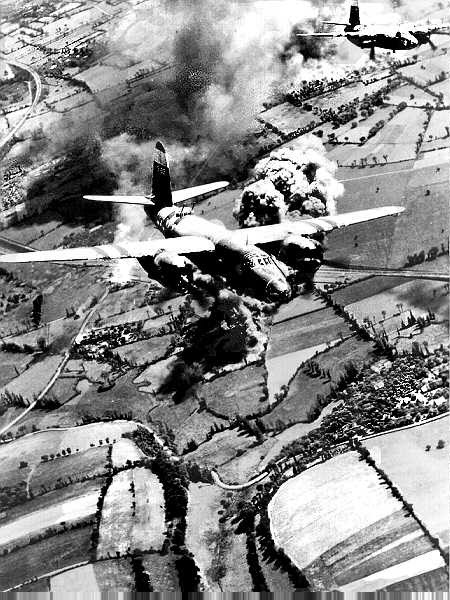 While researching a recent post (Pardo's Push) I read of a similar incident during the Korean War. 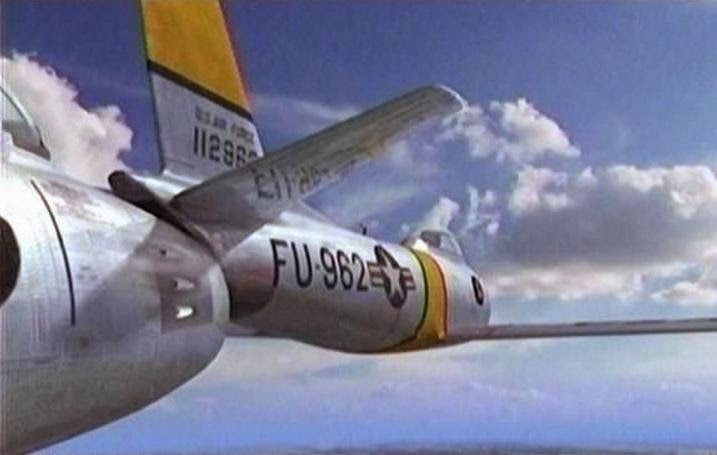 On September 15, Risner's flight escorted F-84 Thunderjet fighter-bombers attacking a chemical plant on the Yalu River near the East China Sea. 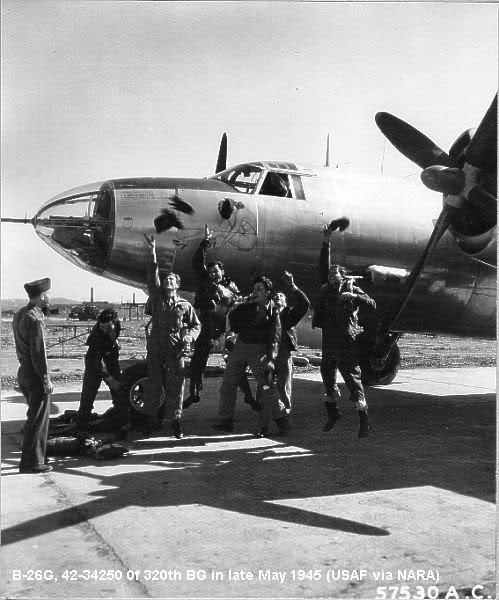 During their defense of the bombers, Risner's flight overflew the MiG base at Antung Airfield, China. 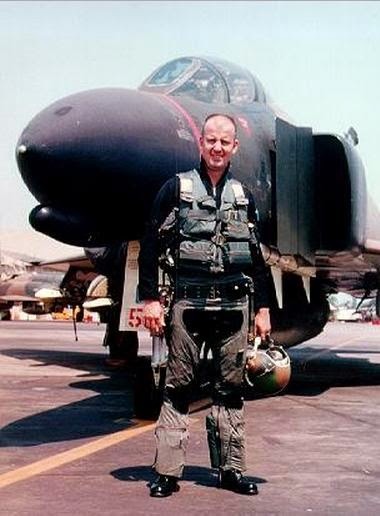 Fighting one MiG at nearly supersonic speeds at ground level, Risner pursued it down a dry riverbed and across low hills to an airfield 35 miles inside China. 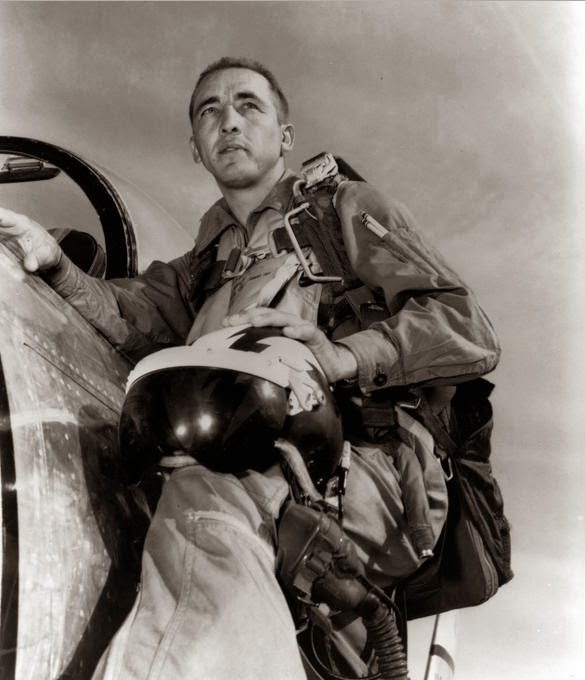 Scoring numerous hits on the MiG, shooting off its canopy, and setting it on fire, Risner chased it between hangars of the Communist airbase, where he shot it down into parked fighters. 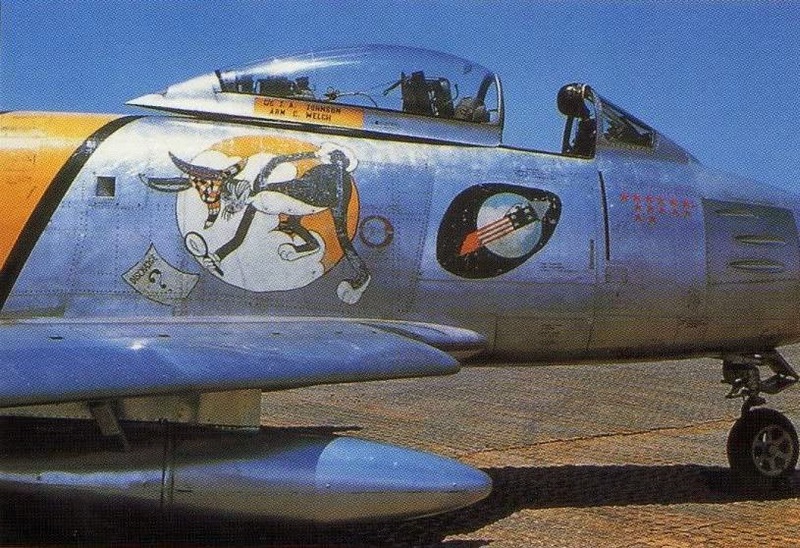 Captain James Robinson 'Robbie' Risner of 336th FS, 4th FIW, Kimpo, Korea, 1953. 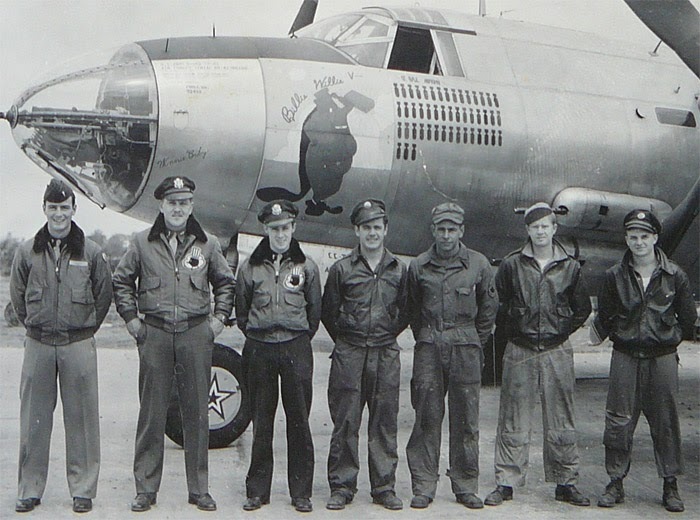 Captain Risner's jet had Bugs Bunny painted on the side. 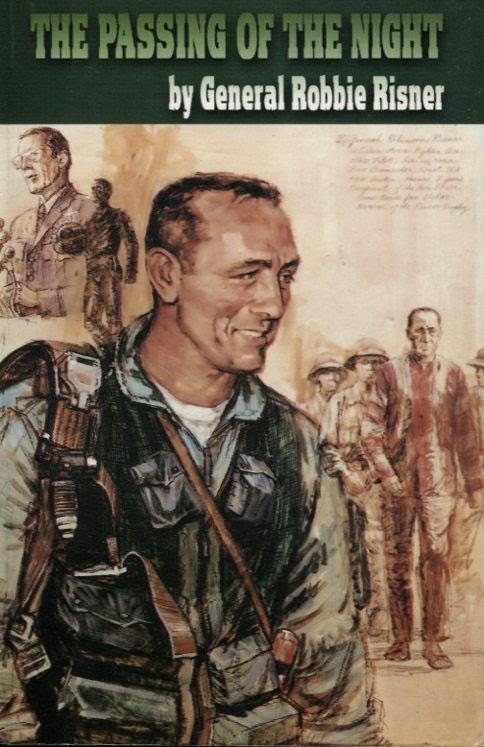 On the morning of September 16, 1965, on an Iron Hand sortie, Risner scheduled himself for the mission as the "hunter" element of a Hunter-Killer Team searching for a SAM site in the vicinity of Tuong Loc, 80 miles south of Hanoi and 10 miles northeast of the Thanh Hoa Bridge. 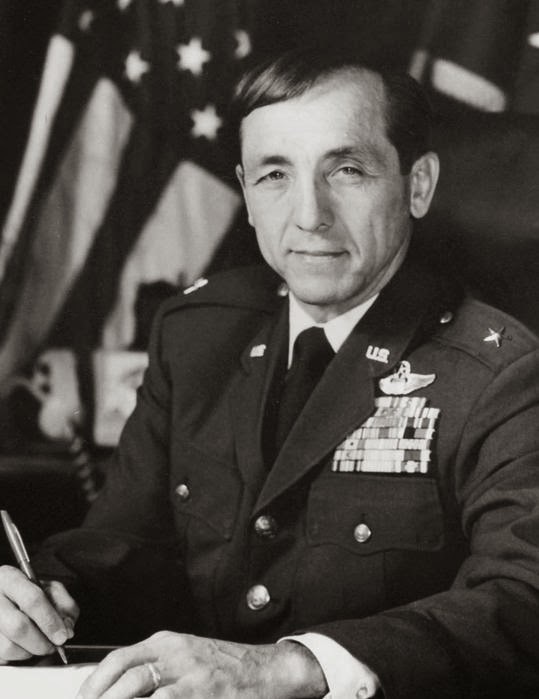 Risner's aircraft was at very low altitude flying at approximately 600 mph, approaching a site that was likely a decoy luring aircraft into a concentration of AAA. Heavy ground fire struck Risner's F-105 in its air intakes when he popped up over a hill to make his attack. 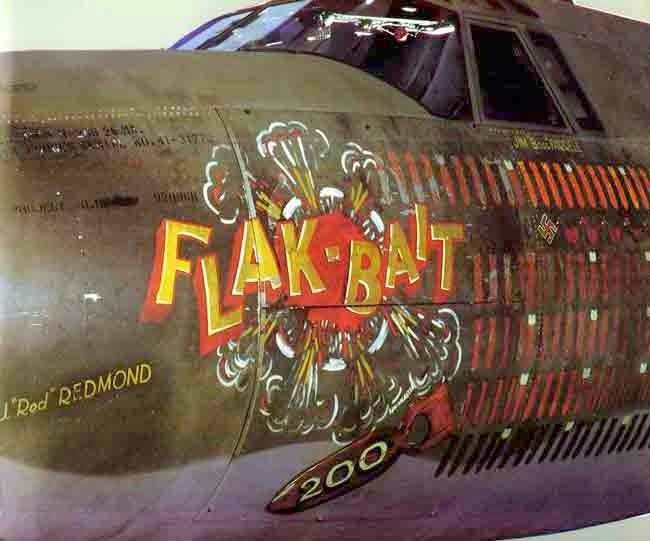 Again he attempted to fly to the Gulf of Tonkin, but ejected when the aircraft, on fire, pitched up out of control. 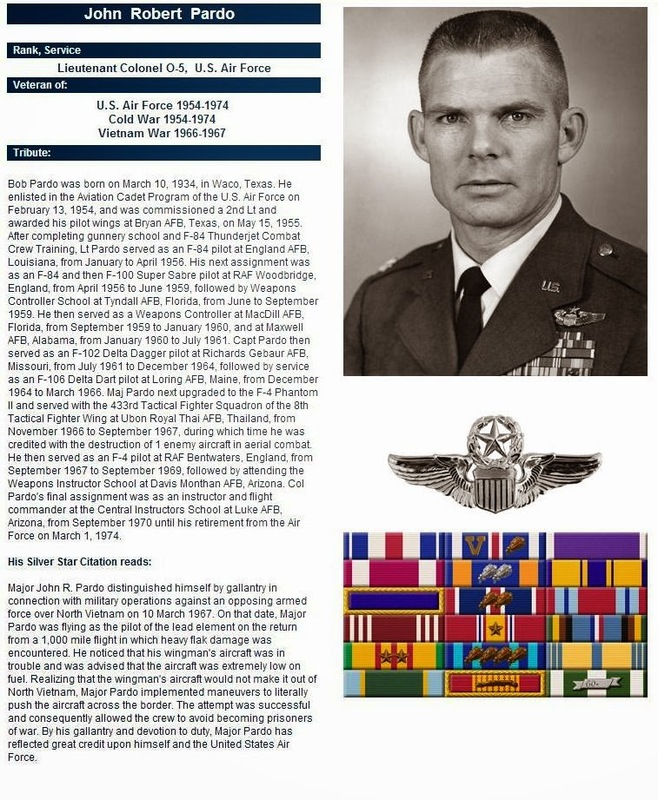 He was captured by North Vietnamese while still trying to extricate himself from his parachute. 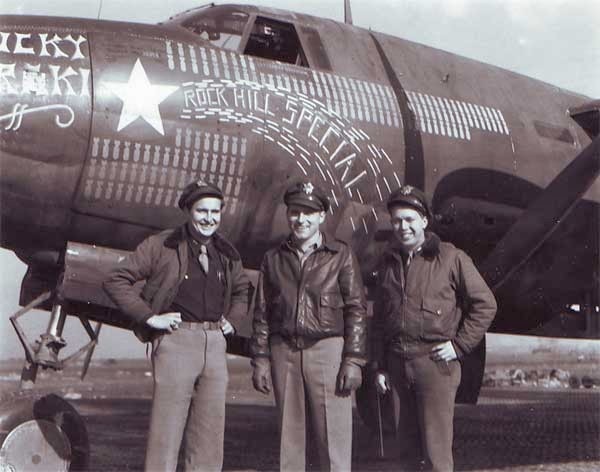 He was on his 55th combat mission at the time. 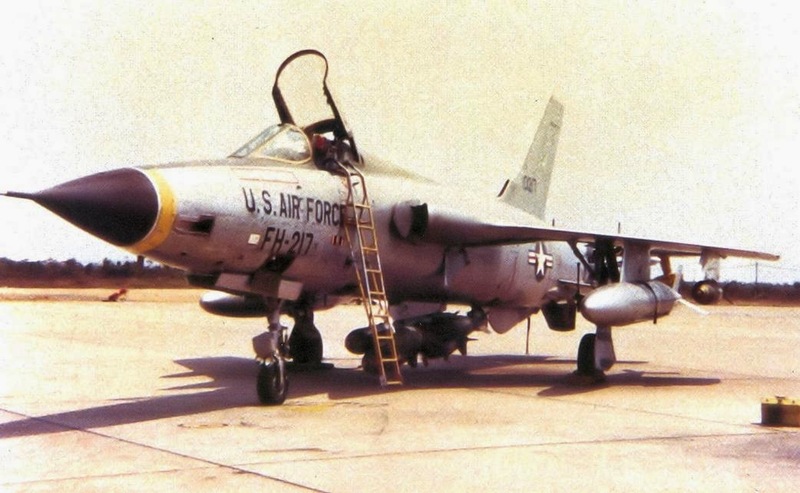 67th Tactical Fighter Squadron Republic F-105D-25-RE Thunderchief 61-0217 1965. 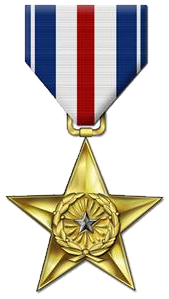 Shot down by AAA over Route Pack 4 on 16 September 1965. 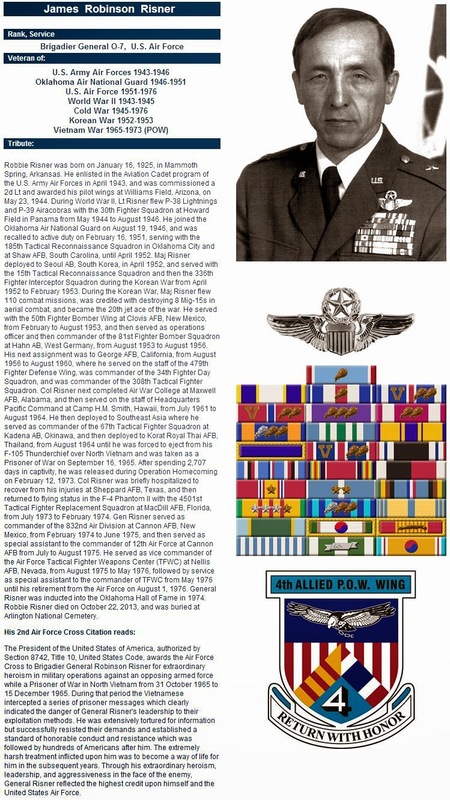 Lieutenant Colonel Robinson Risner ejected and became a POW. 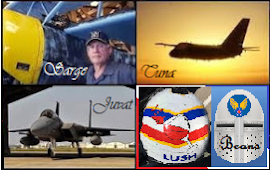 I have to mention here that when I was assigned to the 18th Tactical Fighter Wing at Kadena, we had a squadron of F-4Cs. 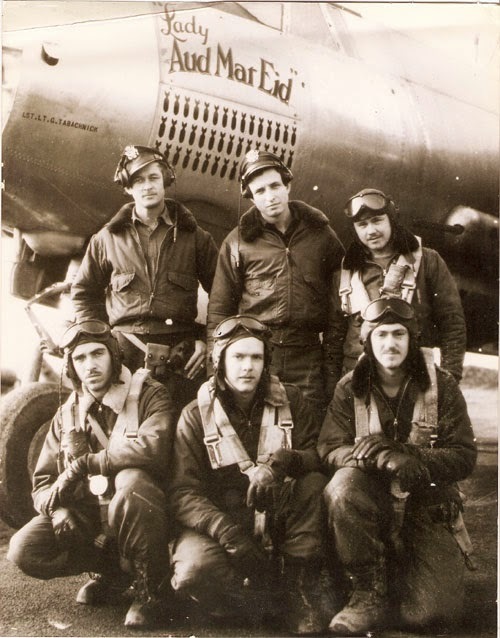 That squadron was the 67th Tactical Fighter Squadron which Brigadier General Risner had served in. 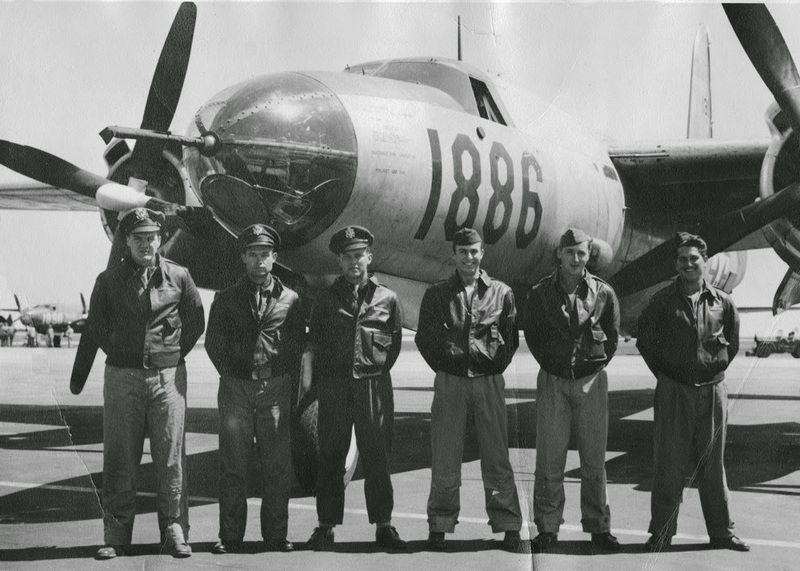 A proud squadron which today flies the F-15 Eagle. I have another book to add to my reading list. Good article here in Air Force Magazine. Well, I had planned to post something else today. I have a couple of irons in the fire, another aviation tale (from the Korean War) and perhaps a little something on the Napoleonic Wars. I will sometimes start to write something and then just stop. I'll set it aside, to work on it later or perhaps it will languish in the draft stage for months. 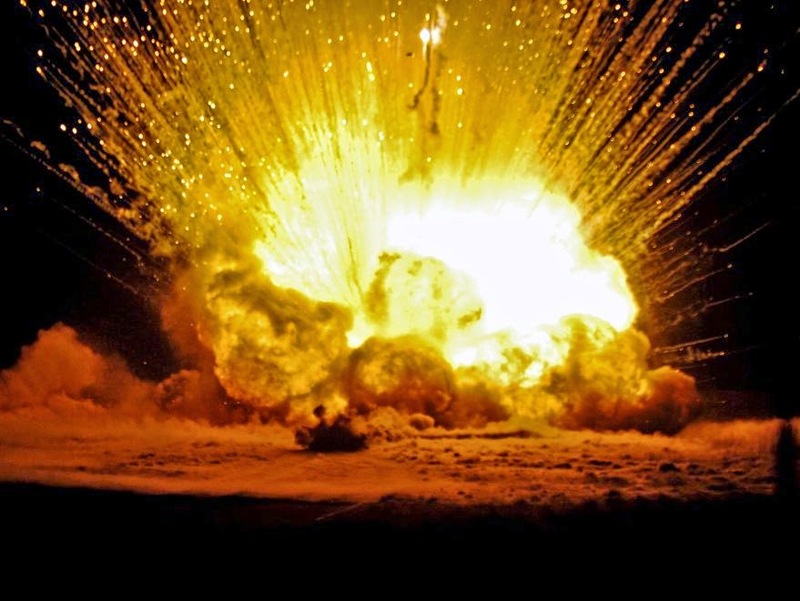 I'm a rather spontaneous guy, I'm not real keen on plans because, as Helmuth von Moltke the Elder stated, "Kein Operationsplan erstreckt sich mit Sicherheit über die erste Begegnung mit der Hauptstärke des Feindes." Or, more simply put, "no plan survives contact with the enemy". You can also say that no plan survives exposure to real life and circumstance. Reality has a way of imposing itself on us whether we like it or not. Life and death are not up to us. They happen whether we like it or not. We all experience life in different ways. 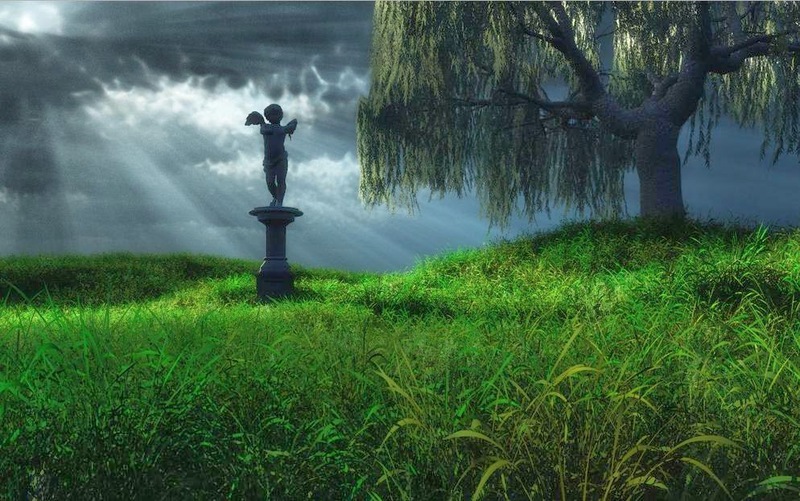 During our lives we will all be touched by death in one way or another. Death is unavoidable and inevitable. Again, whether we like it or not. Death has touched a number of my friends this past week. It touched me yesterday. But life goes on. And so shall I. I just can't bring myself to really work on anything today. Cherish your loved ones and your friends, you never know what tomorrow or even the next instant of time may bring. Our time here is limited, make the most of it. But always, with love in your heart. 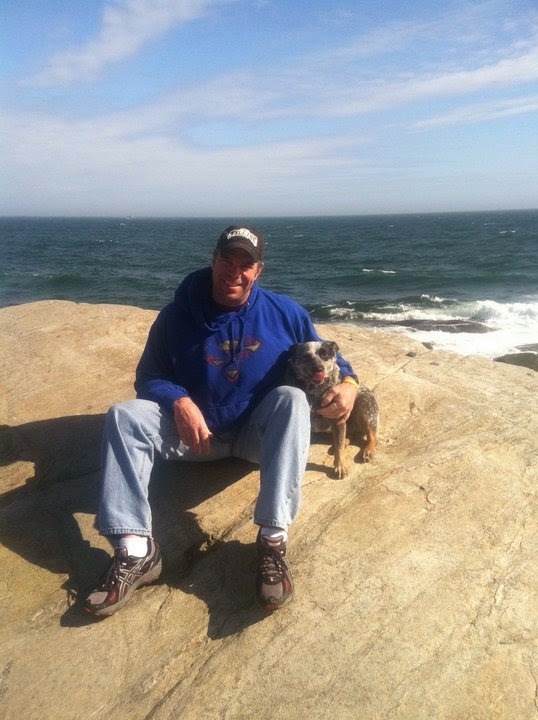 John, my good friend and my brother in Christ, was found dead this morning. You were taken too soon my brother. I offer prayers for his family and friends, especially for his son and daughter, whom he loved so much. I will see you again John, in the sweet by-and-by. 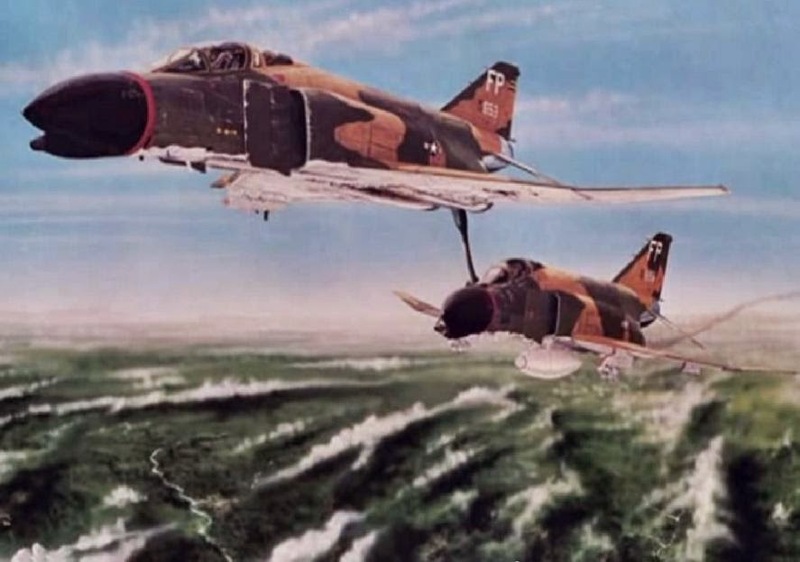 On the 10th of March, 1967, F-4 Phantoms of the 8th Tactical Fighter Wing (433rd Tactical Fighter Squadron out of Ubon Royal Thai Air Force) attacked a steel mill in North Vietnam, just north of Hanoi. Bob Pardo and Steve Wayne open the champagne to celebrate Wayne's 100th mission "Up North"
So it wasn't until 1989 (!) 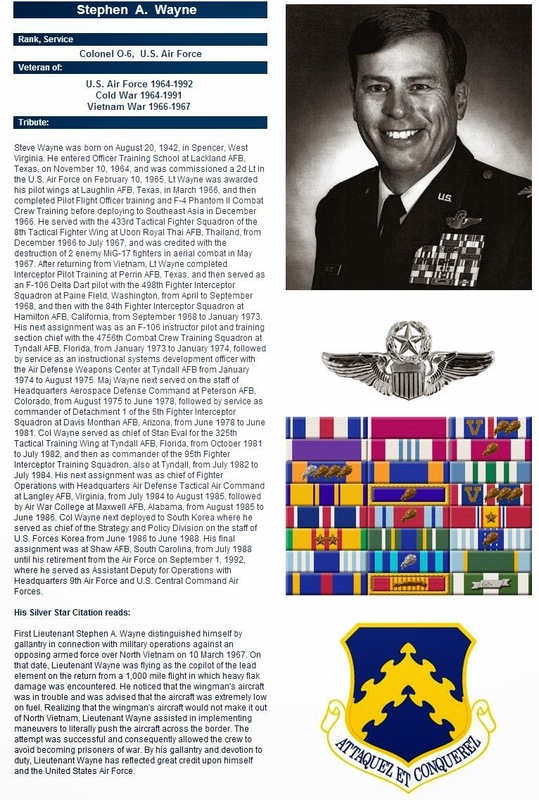 that Big Air Force decided that "Hey, maybe Pardo and Wayne aren't so bad after all. Maybe we should hang a medal on them?" 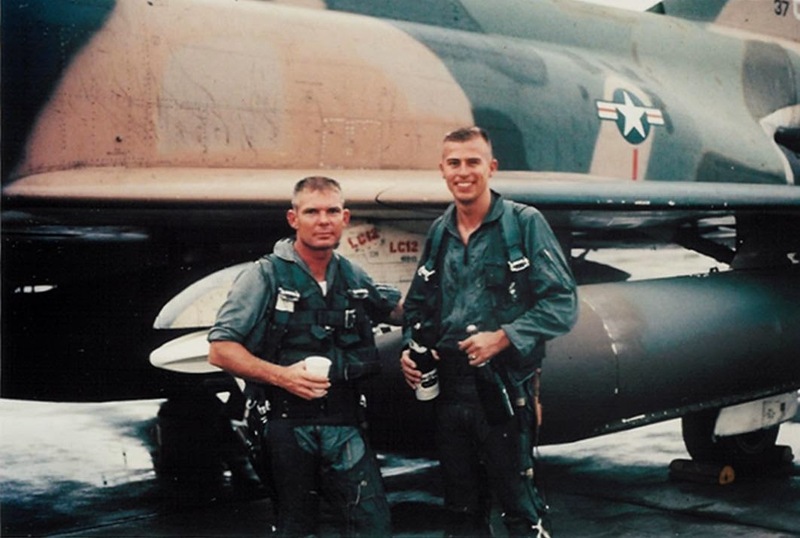 So 22 years after the fact, these two exemplars of what all combat pilots should aspire to be were properly recognized by their country with the Silver Star. 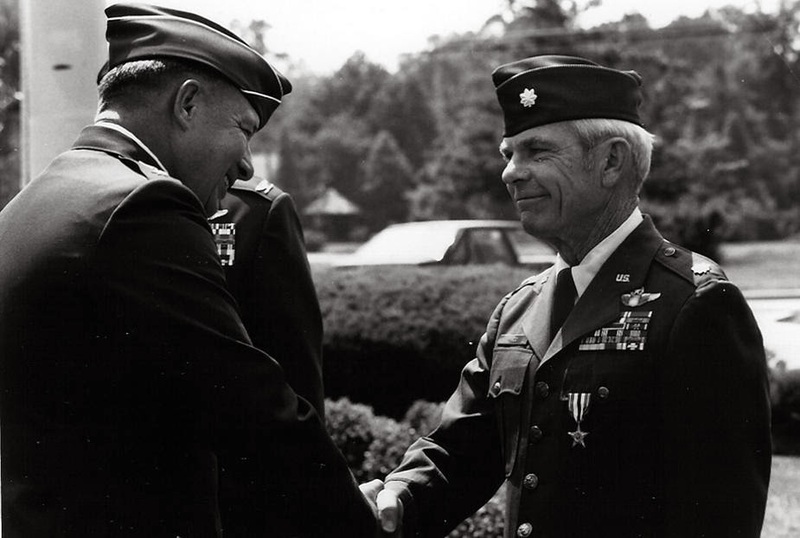 General Horner presented the Silver Star to Bob Pardo (and Steve Wayne) in 1989. 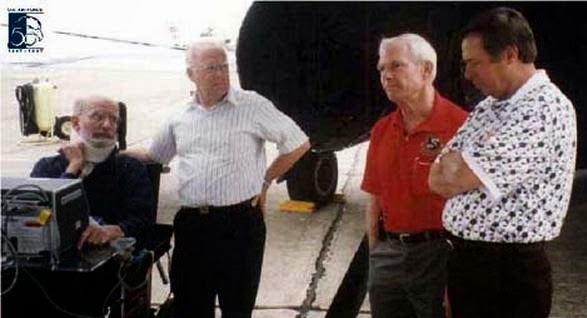 Reunited for the first time since their flight in 1967 are (from left) Earl Aman, Bob Houghton, Bob Pardo and Steve Wayne in March of 2006. 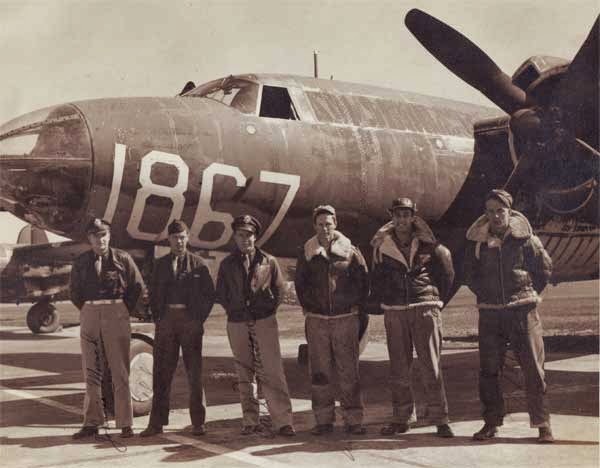 While researching this story (well, okay, Juvat did most of the leg work) I found a similar tale of aviation derring do from the Korean War. We'll take a look at that one soon. So there you have it, Pardo's Push. What a story! H/T to Juvat of the Juvats. Fellow 8th alumni will know what that means. Head on over to c w's place for a while. I've got a little something in the works which was suggested by Juvat. Should be good (I hope). That photo above is allegedly in British Columbia. 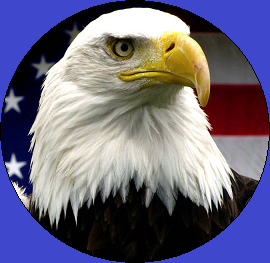 We have friends out that way we know from our NATO days. Cliff was a flight engineer, Sandy is a nurse. Good folks. 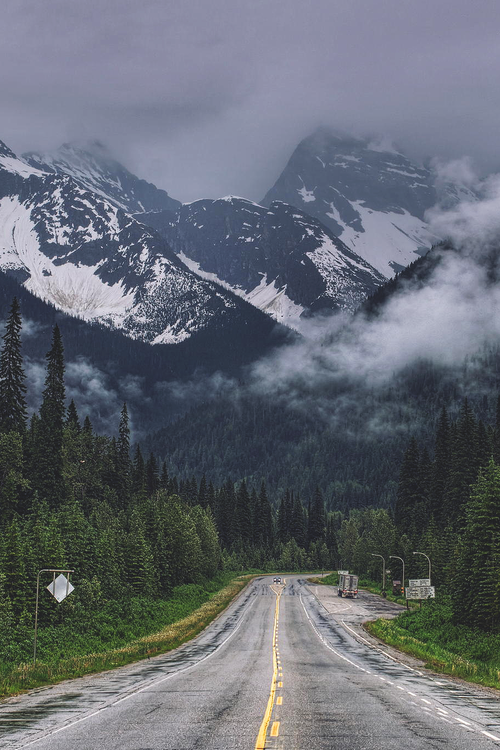 They often told us of the beauty of BC. I guess we need to get out there one of these days! 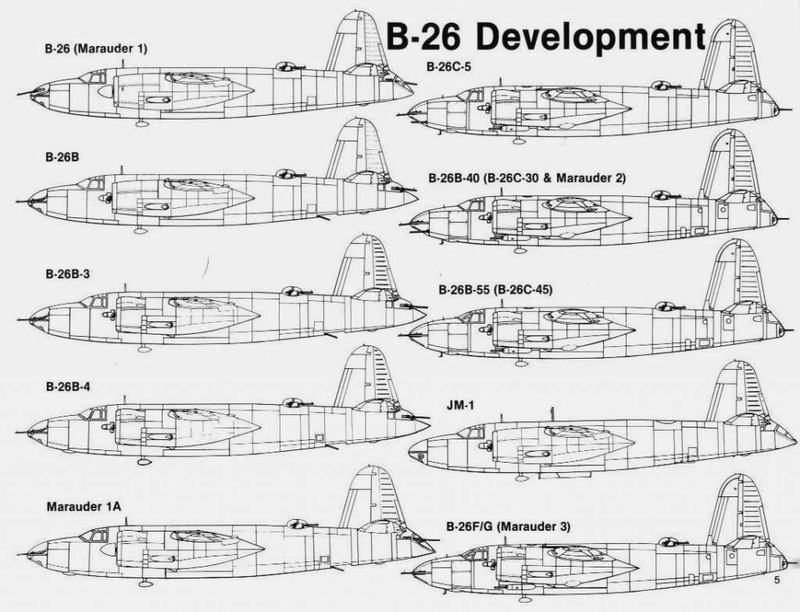 I've always thought the B-26 was an awesome looking bird, very streamlined, yet muscular looking as well. Let's take a closer look at this product of the Glenn L. Martin Company. 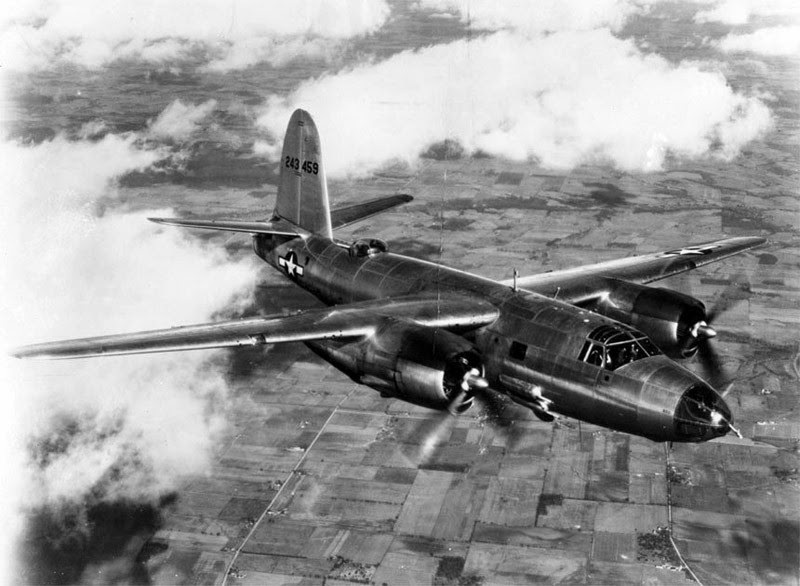 The Martin B-26 Marauder was a World War II twin-engined medium bomber built by the Glenn L. Martin Company. 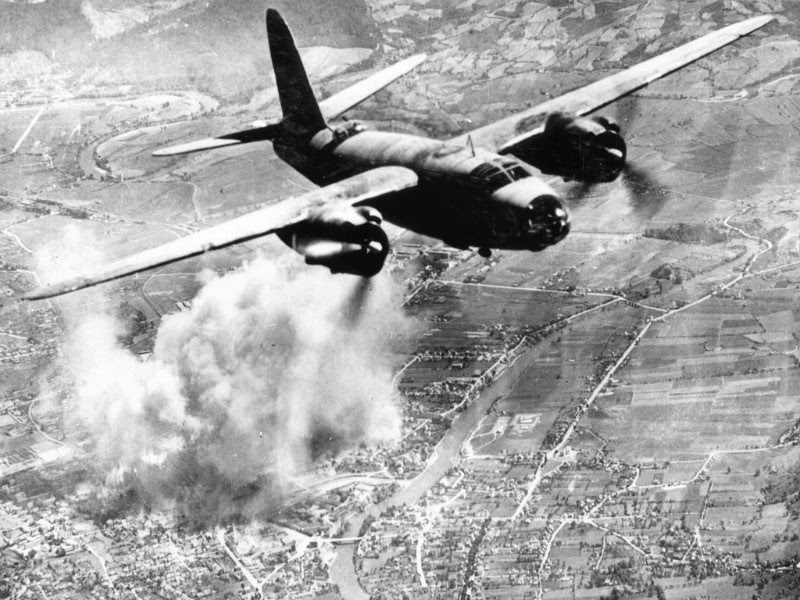 First used in the Pacific Theater in early 1942, it was also used in the Mediterranean Theater and in Western Europe. 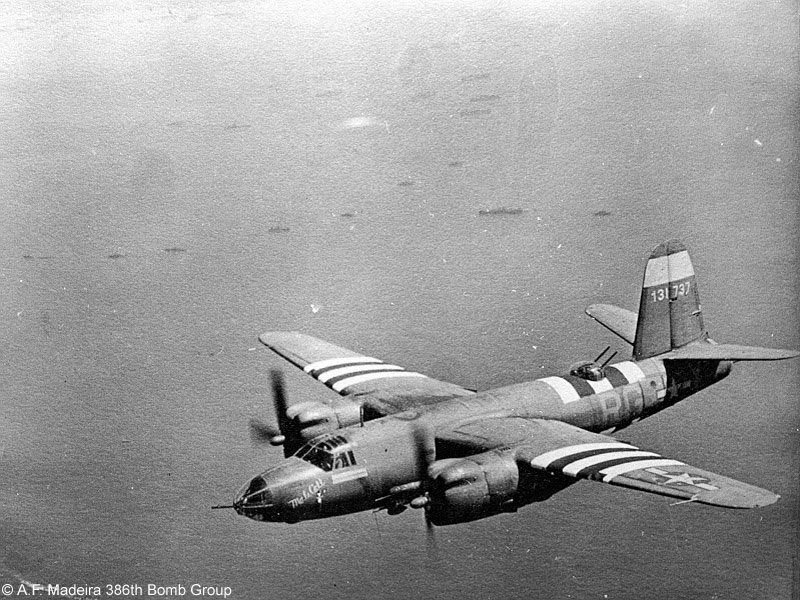 After entering service with the U.S. Army, the aircraft received the reputation of a "Widowmaker" due to the early models' high rate of accidents during takeoff and landings. 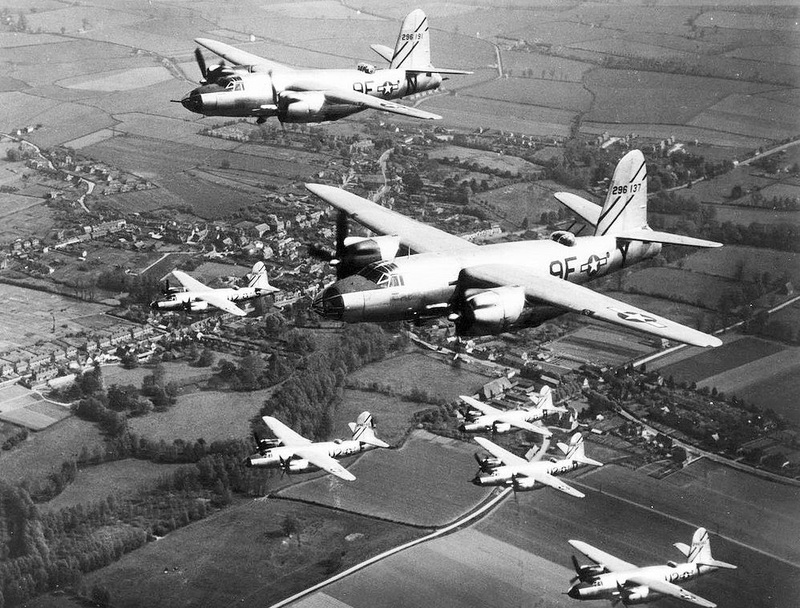 The Marauder had to be flown at exact airspeeds, particularly on final runway approach and when one engine was out. 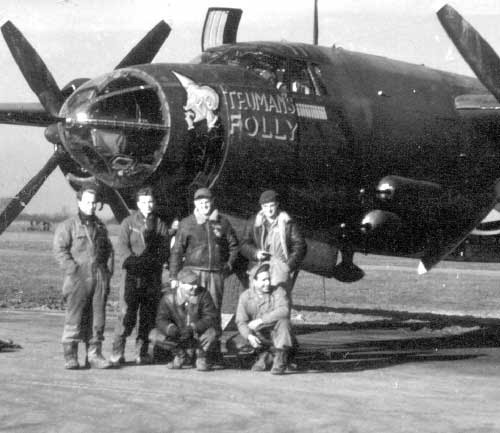 The 150 mph (241 km/h) speed on short final runway approach was intimidating to pilots who were used to much slower speeds, and whenever they slowed down below what the manual stated, the aircraft would stall and crash.The B-26 became a safer aircraft once crews were re-trained, and after aerodynamics modifications (an increase of wingspan and wing angle-of-incidence to give better takeoff performance, and a larger vertical stabilizer and rudder). 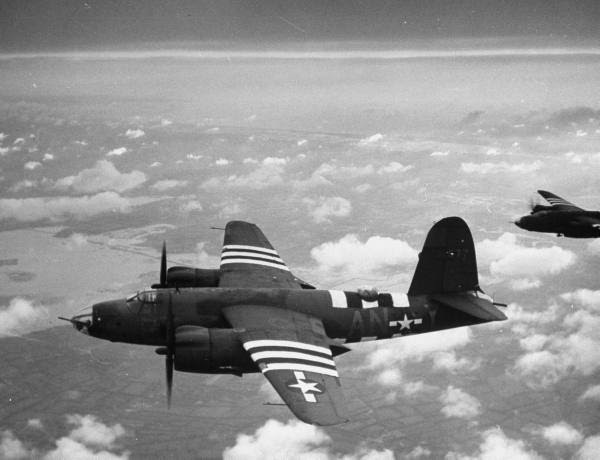 After aerodynamic and design changes, the aircraft distinguished itself as "the chief bombardment weapon on the Western Front" according to a United States Army Air Forces dispatch from 1946. 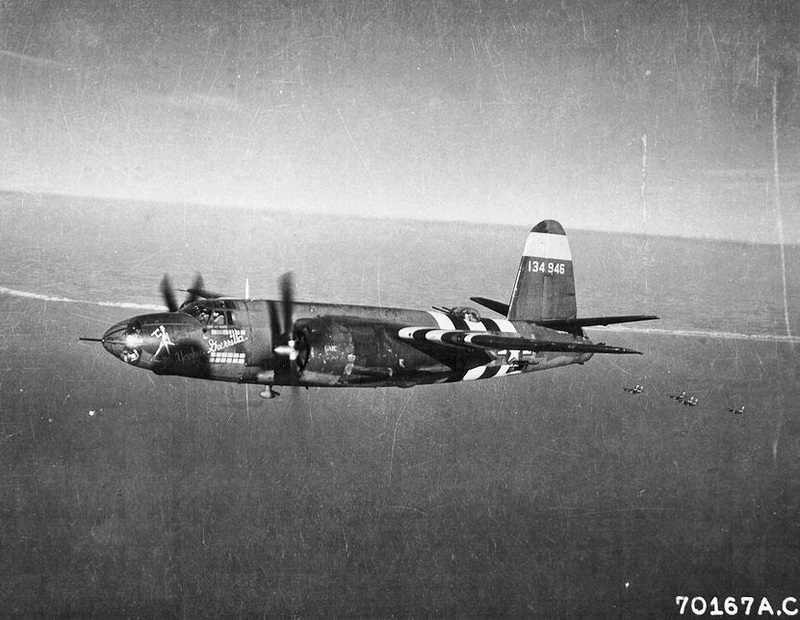 The Marauder ended World War II with the lowest loss rate of any USAAF bomber. This head on view gives you a good idea of how cramped the bombardier's station was in the nose. 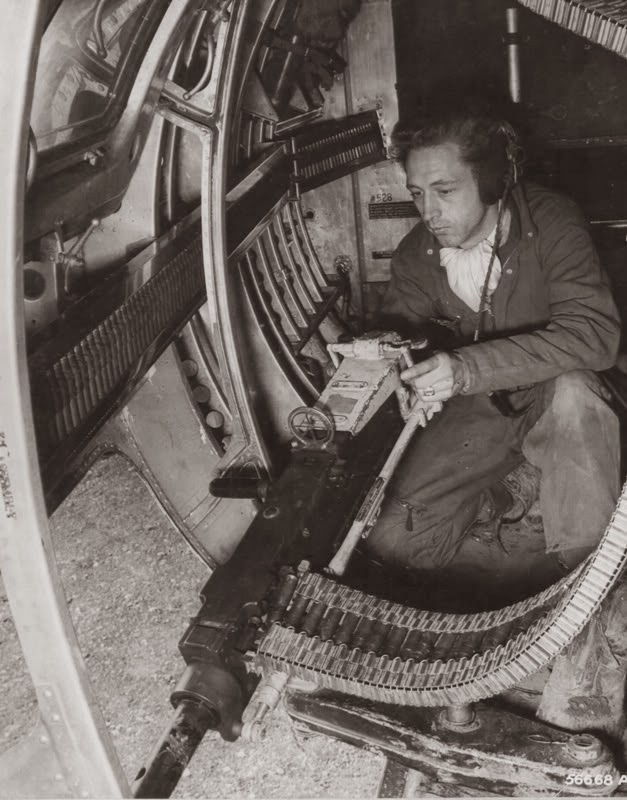 There were two .50 caliber Browning machine guns for the waist gunner to serve, one to port and one to starboard. He actually had to be on his knees while "standing" to his guns. 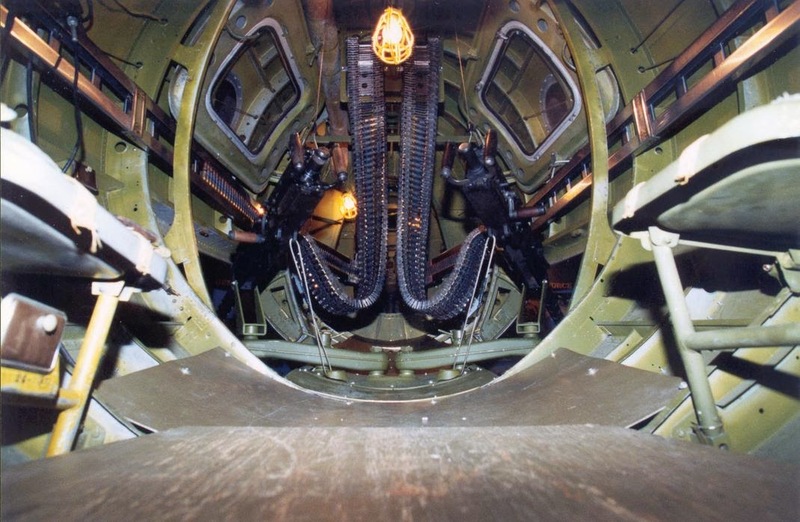 Waist gunner's position, looking aft. The aircraft wasn't what you'd call "roomy". 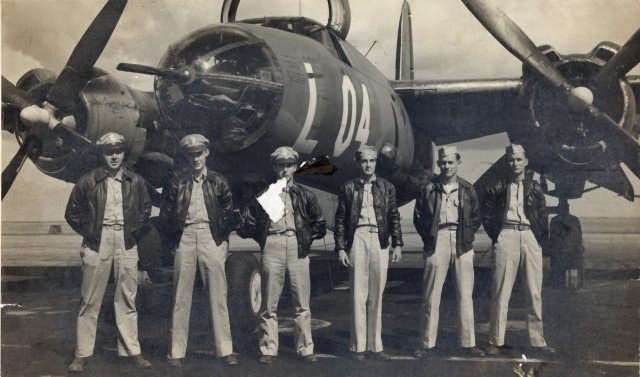 Even with just six men aboard, you wouldn't have a lot of room to move around and stretch. 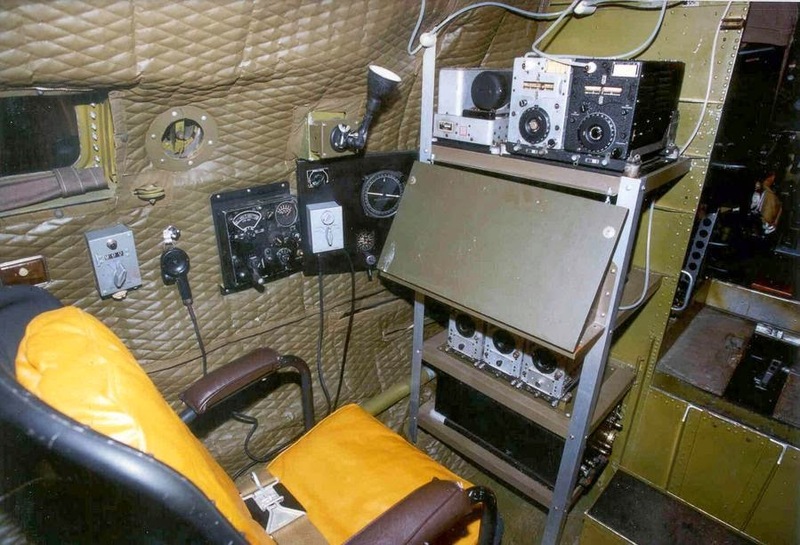 The radio room seems to be the biggest space on-board the aircraft. 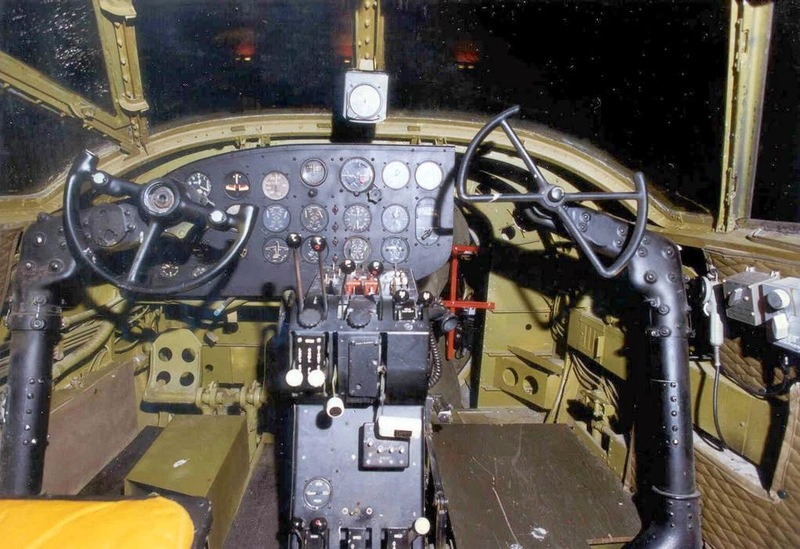 In the cockpit photograph, in front of the co-pilot's position, you can just discern that there is an opening for the bombardier to get in and out of the nose of the aircraft. 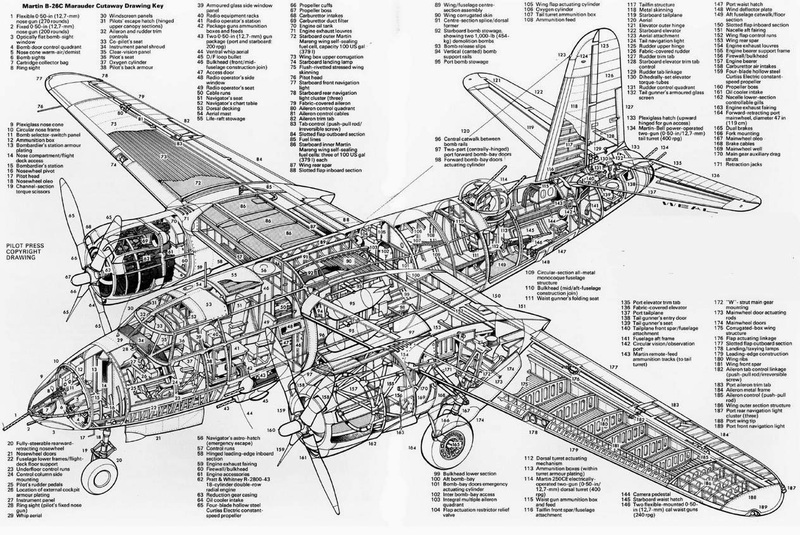 I wonder where the co-pilot's rudder pedals are in this photo? 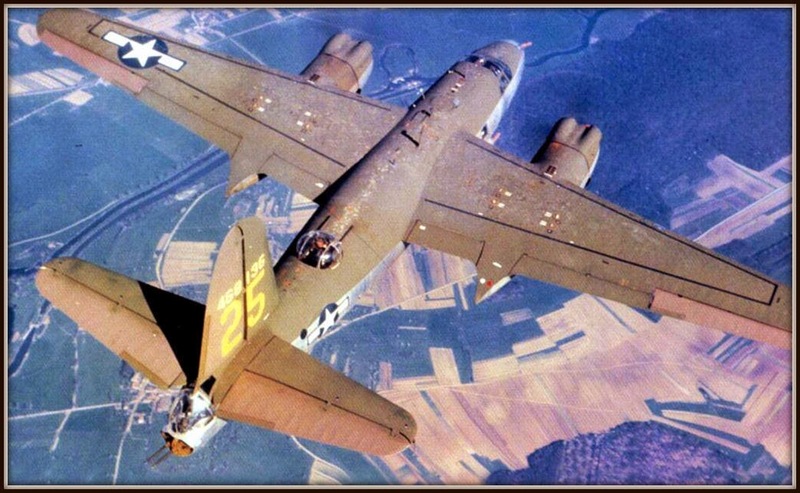 Let's look at the co-pilot's position from a different perspective. 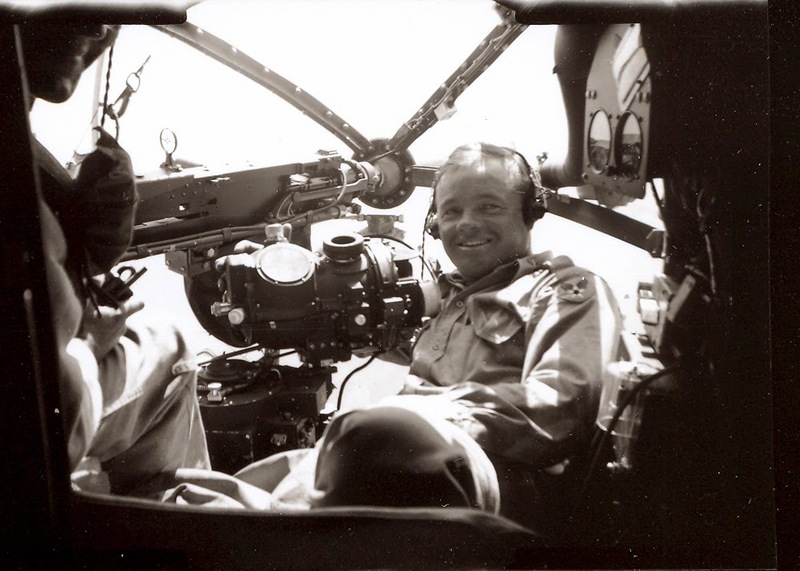 2nd Lieutenant Everett Glen Hanes poses for a picture with his Norden Bombsight in the nose of his Martin B-26. 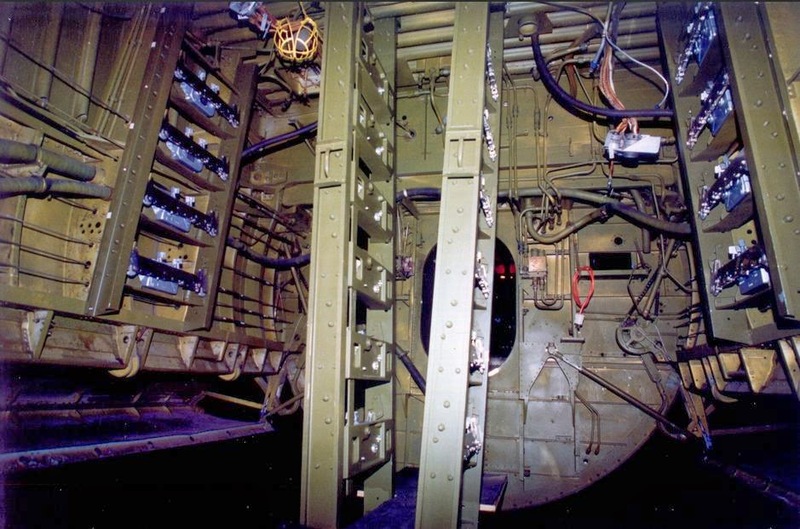 This is what Lieutenant Hanes would see from his position looking aft. 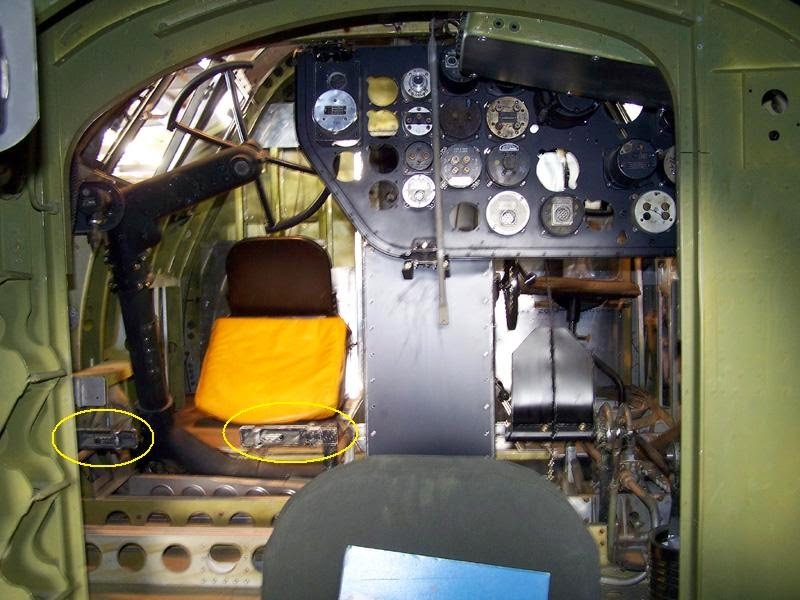 I've circled the co-pilot's rudder pedals in yellow. Also the co-pilot's seat could be moved out of the way if need be. Moving aft, we come to the radio room. 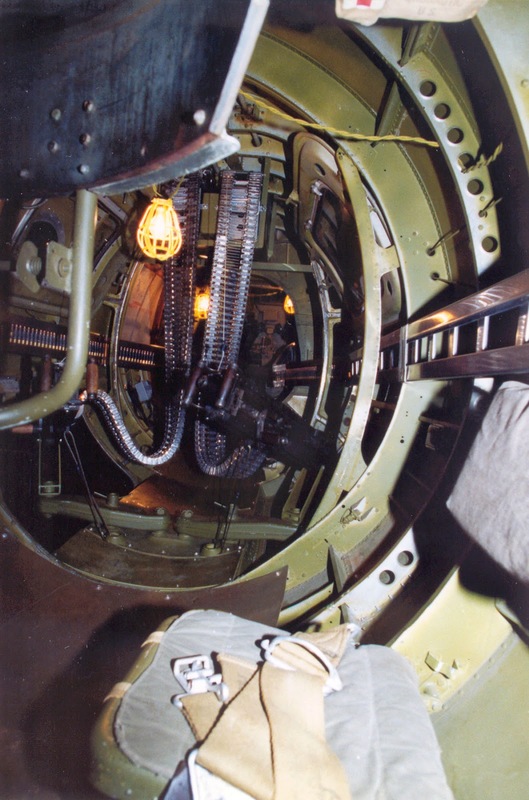 Sitting under the top turret, looking aft. 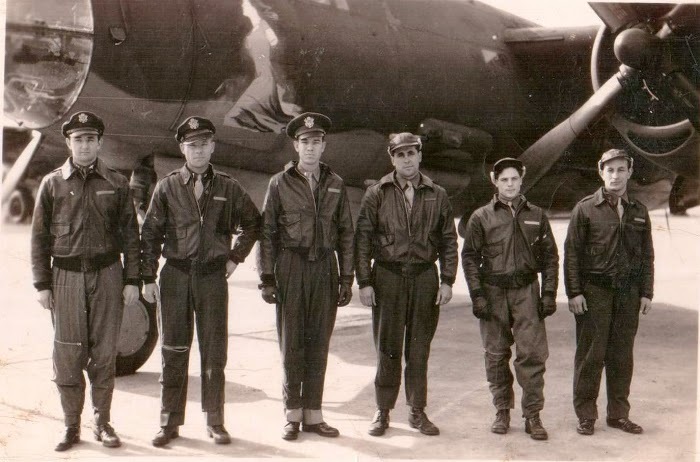 Well, we saw the waist gunner's position up above, so... What's that? You want to see it again? Okay, here it is. 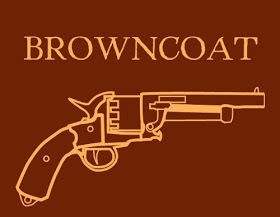 That's SSgt Hightower manning one of his guns. 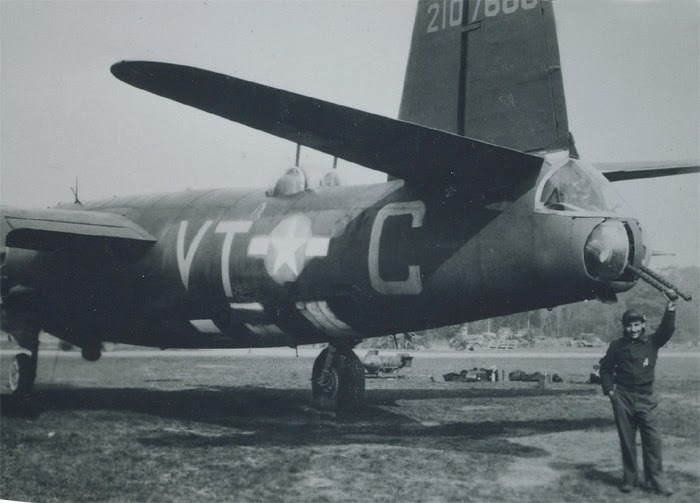 Note that the windows are very low on the fuselage. 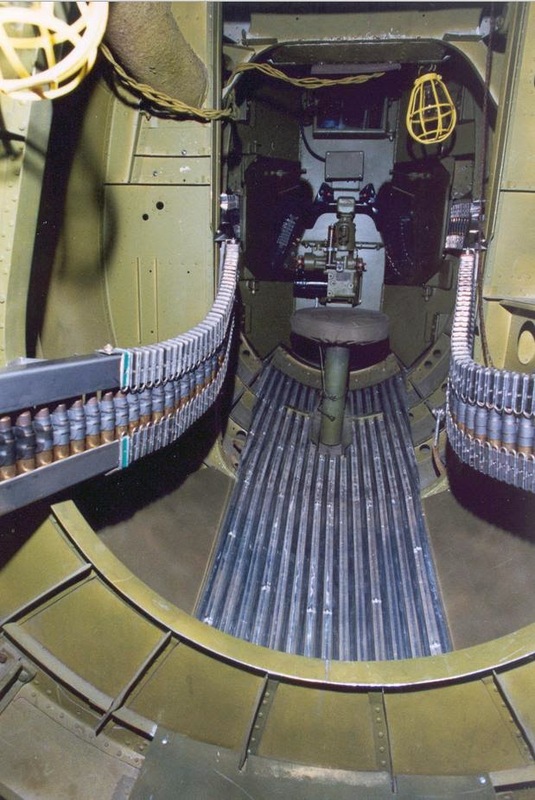 Now we're at the tail gunner's position. At least he has a stool. I doubt the view out the back is that great. SSgt Manny Blumenthal says the view isn't that bad! 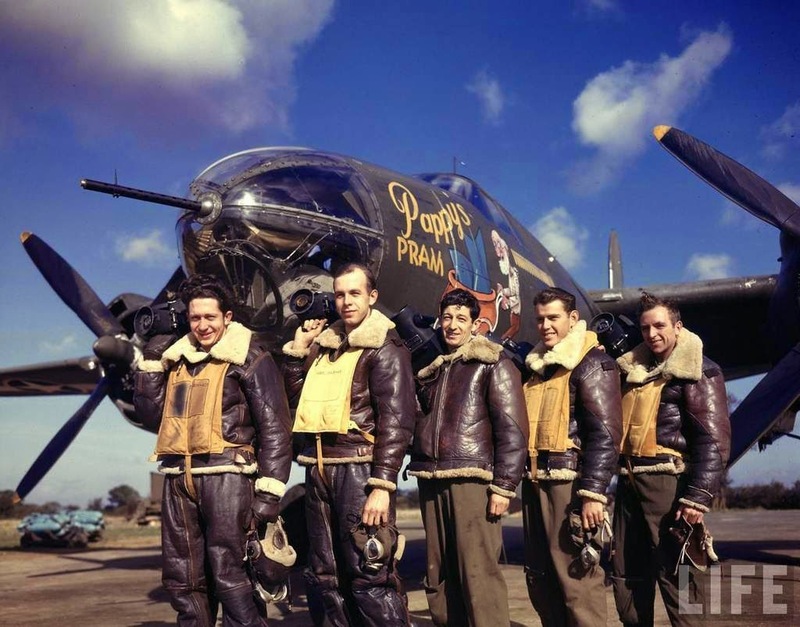 Let's have a look at the crews who flew these machines into combat. This bird is in the Smithsonian. I plan on paying her a visit next time I'm in DC! 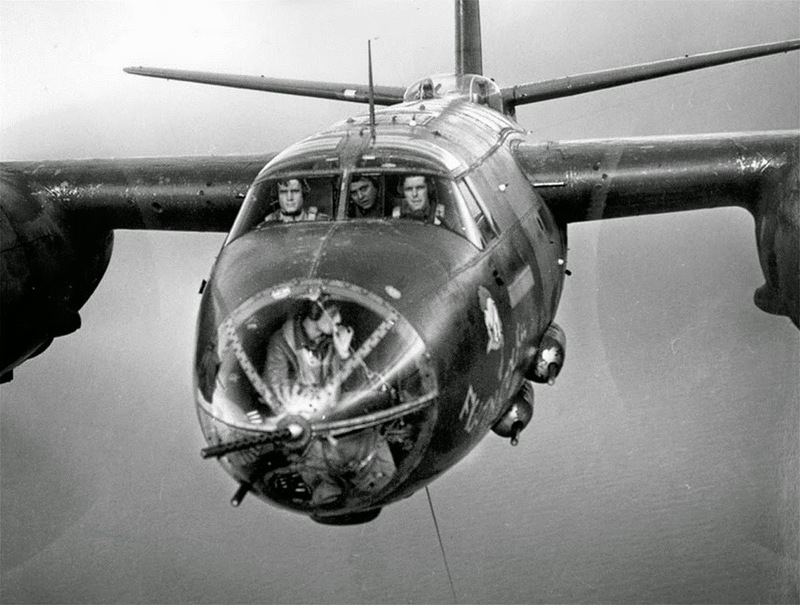 The B-26, now that was one Hell of a war-fighting machine. 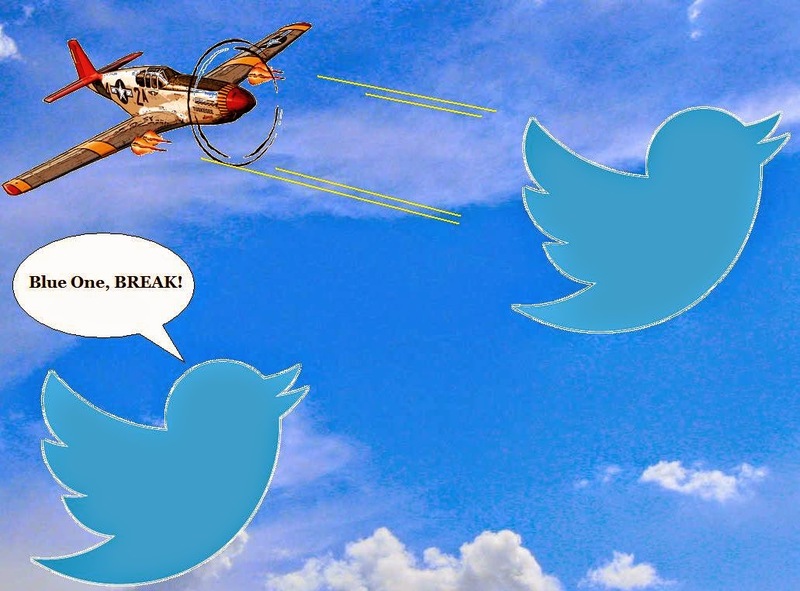 I hope you liked this salute to those brave men who flew this bird into combat. 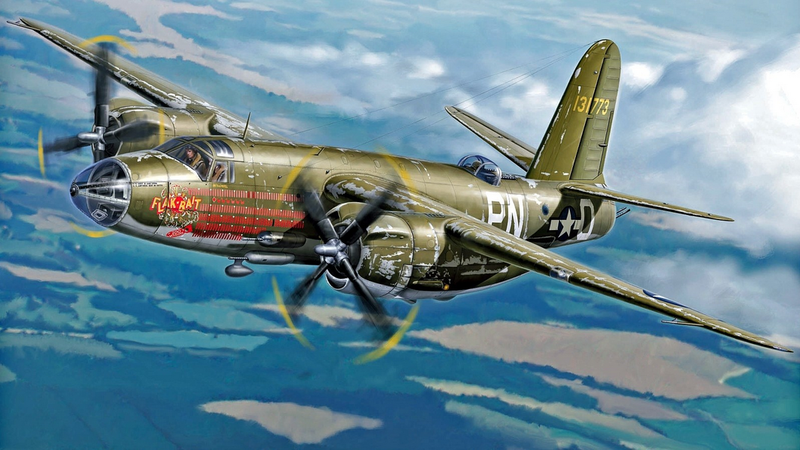 Here's two links you should definitely check out, the first is by the Steeljaw Scribe and tells a story of the Marauder in the Pacific, here. 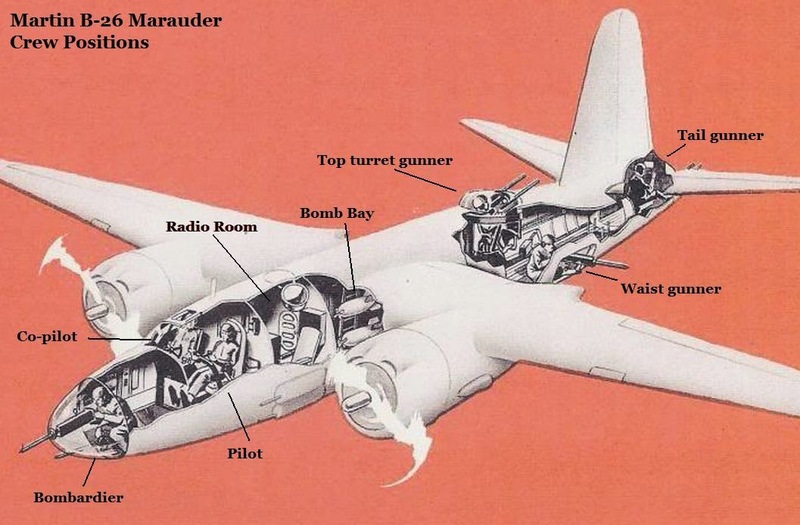 The other is a story titled Flying and Fighting in the Marauder, written by a man who was there. That link is here. And now for something complete different! Put Your Books Away, It's Quiz Time!